A teenager with major depression and thoughts of suicide is forced to wait 24 days for an initial appointment. A sexual assault victim, diagnosed with PTSD and major depression, sends numerous emails requesting individual psychotherapy, only to have her psychiatrist suggest she should get outside help at her own expense because no weekly appointments are available. Total time between appointments: Five months. Following up on a survey that resulted in a $4 million fine against the HMO in 2013. A patient deemed high-risk for domestic abuse doesn't show up for appointments, but mental health staff do not attempt contact. The couples therapy called for in his treatment plan does not occur. Domestic violence resulting in severe injury ensues. The man then tries to make an appointment but can't get one. These are just a few of the cases documented in the California Department of Managed Health Care’s latest report of Kaiser’s mental health services, released to the public Tuesday. The report, a follow-up to the survey that resulted in a $4 million fine against Kaiser in 2013, says that while the health care giant has made progress in providing mental health services to its enrollees, it still has a long way to go in adequately serving patients. "Despite the very significant strides made by the Plan in monitoring and assessing corrective action related to timely access to behavioral health services," the report reads, "the Plan’s monthly access reports suggest that the Plan’s current behavioral health provider network remains inadequate to serve the needs of its enrollee population. "(T)he Plan’s own monthly access reports continue to show a lack of stability or a lack of available providers within the Plan’s behavioral health provider network," the DMHC writes in its conclusion to the 32-page report. "Even with all the changes Kaiser has made, there are still serious concerns about patients' ability to get timely access to mental health services," Shelley Rouillard, director of the Department of Managed Health Care, told the Los Angeles Times. "I want Kaiser to fix the problem and do what they need to do to make sure their members get the mental health services they need." Kaiser, which serves nearly 7.7 million members statewide, agreed to pay the $4 million fine last September after an initial appeal. That penalty resulted from a routine DMHC survey finding four basic deficiencies related to plan members experiencing excessive wait times for initial appointments. Kaiser measured wait times for initial appointments in ways that minimized their length. For instance, it used paper waiting lists, not counting the days patients languished there. Or it logged the interval between a canceled appointment and a new appointment instead of from the original appointment, thus decreasing its wait times statistically. Kaiser's methodology for measuring timely access -- averaging all reported enrollee wait times for a given month -- obscured the lengthy wait times of some individuals. "Such an approach could prevent effective treatment of an enrollee’s condition or fail to prevent further deterioration of an enrollee’s health," the DMHC said in its follow-up report. Long wait times for an initial appointment and the failure of the plan's quality assurance program to address these delays violated department regulations. By focusing on limitations and exclusions of mental health benefits, some Kaiser mental health personnel, as well as printed and online materials, disseminated "inaccurate and misleading health education information to enrollees regarding the scope of their coverage for behavioral health services." Some materials, for instance, failed to inform enrollees that coverage for severe mental illness or serious emotional disturbances of a child is required. The current report designates deficiencies 1 and 2 as "corrected" and numbers 3 and 4 as "not corrected." The new report has been referred to the DMHC's Office of Enforcement "for further investigation and possible disciplinary action, based on the Plan’s failure to correct Deficiencies #3 and #4." "Financial penalties are an option available to the DMHC," said DMHC information officer Rodger Butler, "but it's too early to say if that will be the course of action." "We are proud of the progress we have made to improve access to mental health care. The DMHC’s initial survey was conducted in 2012. This follow-up survey was conducted in 2013-14, including the case review portion. Since the follow-up review was conducted, we have made even more progress. We have hired new mental health therapists in Northern and Southern California, and we currently are recruiting to hire more. We have engaged with high quality community-based mental health care providers, including ValueOptions, a network of community providers with which we began successfully partnering in 2014, to ensure our patients receive timely access to mental health care, especially in locations where there are increases in appointment requests." In its statement, Kaiser acknowledged that DMHC had found some Kaiser health centers experienced significant fluctuations in providing timely access. The report cited four unnamed medical centers in Northern California at which access rates plummeted over several months or more. Last year, the National Union of Healthcare Workers, which has been in a years-long, bitter contract fight with Kaiser, provided statistics to KQED that showed timely access rates at both the Oakland and Richmond medical centers suddenly dropped 28 percent and 32 percent, respectively, over the course of one month. 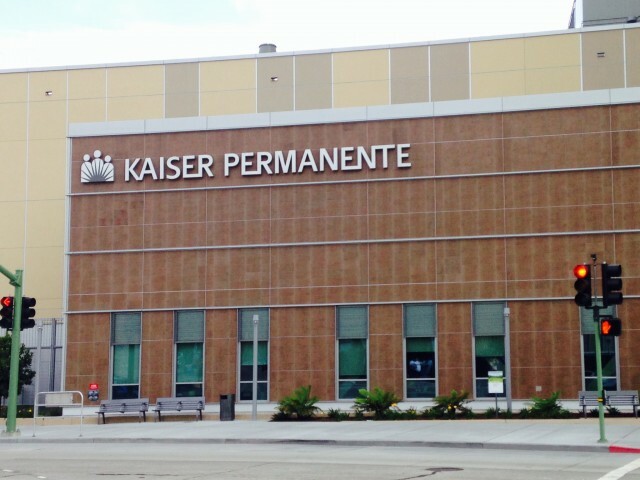 "While the report acknowledges that Kaiser Permanente ‘took significant steps’ to track and address timely access challenges," Kaiser said in its statement issued Tuesday, "there remain locations where access to appointments is not consistently where it should be. We are continuing to address these challenges, through making caregivers available where they are needed, continuing to recruit more staff, partnering more with community providers and being more flexible and innovative in finding solutions." The report did point to some success stories stemming from Kaiser's efforts at truncating wait times. In early 2013, for example, the psychiatry department at the Napa-Solano Medical Center was experiencing a months-long decline in on-time appointments. "The Plan began video and telephone appointments, utilized a psychiatrist from another medical center, increased clinic hours, recruited new staff, and utilized use of other staff temporarily to fulfill the duties," DMHC said. "For the remainder of the year, the rate was above 90% with 100% compliance in December." NUHW President Sal Roselli said, "For four years-plus, our clinicians have been bringing these major issues to Kaiser and for four years-plus, Kaiser has dismissed their concerns, refused to talk about them." Roselli said Kaiser and the union returned to the bargaining table in Northern California last week, and that the DMHC report was "certainly helping." The current report took into account delays in follow-up care in addition to initial appointments. Delays in follow-up appointments at Kaiser were the subject of an investigation by KQED's State of Health last year, which found Kaiser patients and therapists complaining about delays similar to those found by the DMHC. Department regulations state that non-urgent initial appointments with a therapist must be available within 10 business days of request; non-urgent appointments with a psychiatrist must be available within 15 business days, and urgent appointments that do not require prior authorization must be available within 48 hours. The DMHC follow-up survey included a look at the medical records of 297 patients -- 149 in Kaiser's Southern Region and 148 in the Northern Region. It found that in the north, 33 out of 148 patients, or 22 percent, did not receive timely initial or follow-up appointments within those timeframes. Just 9 percent experienced the same delays in the south. "To the contrary, messages conveyed to enrollees in certain cases indicated that access to behavioral health services is quite limited in scope. (Such) information ... can actively discourage patients from obtaining care. In addition, in situations where providers misunderstand the scope of benefits available to enrollees, they may fail to schedule patients for additional, medically necessary covered services." The report pointed to examples of clinicians misinforming patients about their rights to coverage. Andy Weisskoff, a former Kaiser therapist who published a scathing series of blog posts last year about his experiences with treatment delays at Kaiser Santa Rosa, thought the report was a step in the right direction but that it probably undercounted the number of delays. He pointed to a footnote in which the DMHC said it was "difficult to differentiate between appointment availability and lack of clinical follow-up." "The reviewers were uncertain if the delays between initial appointment and follow-up were because a follow-up was unavailable or if the therapist didn't set one up properly," he said. "These reviewers were clearly uninformed about the great lengths therapists at Kaiser have gone to to try to make more appointments available." "I feel relieved that the facts are coming out, and they're coming out in such a dramatic and public way."